Among cereals, rice is the most important crop in India and in other Asian countries. 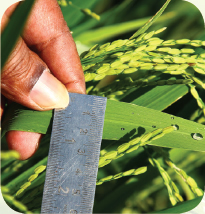 The productivity of rice greatly contributes to GDP. India has the largest acreages of rice in the world. 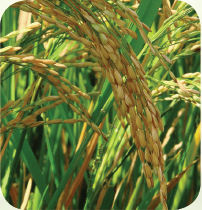 Rice cultivation is spread all over the irrigated areas of the country. 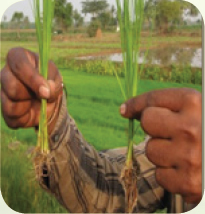 Boom Flower® has been widely tested on rice for its efficacy in India and also in other major rice growing countries and has been found to increase the yield up to 29.7%. 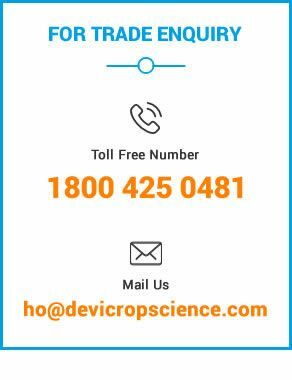 Boom Flower® has been tested in 2 locations in South & 1 location in North India and in 7 other locations in various countries under different agro climatic conditions. Boom Flower® significantly increased the yield under various conditions. 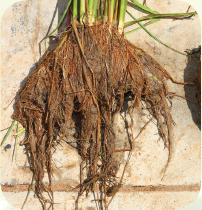 The studies conducted at Tamil Nadu Agricultural University, Tamil Nadu, India clearly defines that Boom Flower® influences the plant at all the growth stages. 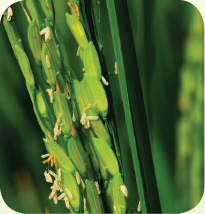 The studies clearly denote that Boom Flower® improves all the productive parameters of the rice crop. 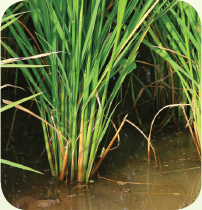 3 to 4 sprays are recommended depending upon the duration and the variety of rice crop. Boom Flower® (Liquid formulation) should be sprayed uniformly on the crop foliage at the rate of 3 ml/liter of water with hand operated sprayers. When using other type of sprayers a minimum volume of Boom Flower® 600 1000 ml/Ha depending on the stage of the crop should be used for each spray.